A group of Attard residents have accused the Superintendence of Cultural Heritage of being inconsistent after it sought assurances that the Wignacourt Aqueduct would not be damaged during work on the €55 million central link project. They claim that while the Superintendence made a list of recommendations to ensure that the aqueduct was not damaged, it did not express the same concern over a development that was being recommended for approval in the area that would result in the remaining aqueduct being lost. More than 100 residents first brought up the issue in March, teaming up with the Attard local council and non-governmental organisations to urge the authorities to protect the historic aqueduct. In their fresh pleas, the residents insist that as a result of the proposed development in the neighbourhood around Linja Street and abutting with Peter Paul Ruben’s Street, the remaining stretch of the aqueduct will be engulfed between the retaining wall. The “Din l-Art Ħelwa conservation architect, who was also a PA officer in charge of the area, drew up various reports on the matter. The architect is strongly recommending that the retaining wall of the new road is not built because the existing wall has already caused damage to the aqueduct. “And yet the Superintendence of Cultural Heritage is fine with this. Thus our dismay when reading the concern expressed by the Superintendence for the same area,” residents told the Times of Malta. According to them, the Superintendence has insisted that there will be a culvert between the retaining wall of the proposed road and the aqueduct. 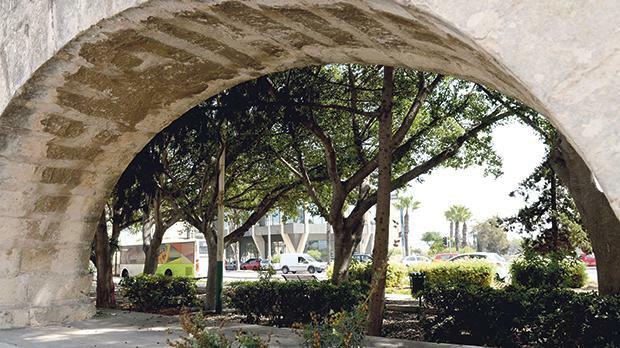 The €55m Central Link project plans, which have already undergone one set of revisions following criticism, face staunch resistance from a number of Attard residents and their local council. Others, however, led by the Malta Automobile Club, have signed a petition calling for the project to go ahead as planned. There have been several hundred objections submitted to the Planning Authority ahead of a hearing later on this month.